Nextdoor is turning us into modern day Gladys Kravitzes. Most of my fellow millennials have probably never heard of Gladys Kravitz. She was a character on Bewitched that did her best to be nosy to the Stephens family who lived across the street. She tended to be suspicious of anything happening in the neighborhood, especially reacting to the events at the Stephens household. After all, Gladys had Samantha, and Samantha's mother Endora and Aunt Clara to worry about. They were all witches, so there was a good deal more for Gladys to be suspicious about. For those unfamiliar with Nextdoor, it is "the private social network for you, your neighbors and your community. It's the easiest way for you and your neighbors to talk online and make all of your lives better in the real world." Nextdoor believes that "the neighborhood is one of the most important and useful communities in a person's life", and they "hope that neighbors everywhere will use the Nextdoor platform to build stronger and safer neighborhoods around the world." It is essentially a virtual bulletin board for your neighborhood. The company goes to great lengths to ensure that only your neighbors can join your neighborhood's network, and member privacy is taken very seriously. If your neighborhood is anything like mine, Nextdoor is full of lost pet announcements (which honestly seems to be the primary function in our neighborhood), those looking for apartment or home rentals, dry cleaning or dining recommendations, people trying to sell things, notices about crime, and any other suspicious activity that might be taking place. Often times, discussion seems to become a bit too divisive, which is easy to do electronically. "My car window was bashed in last night, and while I was trying to sell my used bike (because I've had enough of the disrespect from drivers driving in the bike lanes in this neighborhood), I noticed that someone stole the flower pots I had just installed in the front of the (insanely overpriced!) garage apartment that I rent across the street from that row of townhomes that some developer built, right near where that serial pooper guy was caught. While I was standing there, someone flew by at 50 miles per hour through the school zone, all while a group of people were posting flyers for their lost dog, and while my neighbors had a bunch of people over for a loud barbecue, who all decided to park on the street, causing traffic to come to a screeching halt given that our street already had too many people parked on it because there were a bunch of new stores and restaurants that opened and are always busy." I don't write this simply to complain about the near-alarmist nature of some Nextdoor posts. Without question, there is a great deal of benefit from a tool like Nextdoor. I value hearing about the theft and vandalism that occurs in our neighborhood. I want to be safe. I also want to know if there's someone getting rid of a piece of furniture that I may need. But I wonder if something like Nextdoor swells up fear within us, ultimately leading us to become less engaged in our neighborhoods. If I can look at my own heart and attitude, we're much quicker to judge and expect the worse when we are constantly reading about the malice that is taking place around us. The Art of Neighboring co-author Dave Runyon said in a recent Strongtowns podcast that "Our tendency to think the worst of people is much higher now than it has been historically. It's one of the reasons that connections based on location are at such a low." Nextdoor also does a great job at revealing more of what our hearts might really be like. We make assumptions. We are quick to gossip or slander. We react quickly, failing to engage in conversation. I think we can make an assumption that we love our pets probably more than we love our neighbors. Residents have described pets accompanying the homeless in our community, pledging to provide water and food for pets, without much care for the homeless. And, we may care more about being right than simply caring for our neighbors. Within the last few weeks a local man was shot in front of his home. It's great to have learned about it through Nextdoor, but conversations quickly turned from discussion of the incident to a debate about the most appropriate name that should have been used to describe where the murder took place. The previously mentioned podcast from Charles Marohn at Strongtowns addressed this topic of being neighbors, referred to as "neighboring", and looked at the development of social capital within our neighborhoods. Strongtowns is a non-profit organization whose mission it is to, you guessed it, build stronger towns and neighborhoods. The organization looks to discover rational ways to respond to civic and community challenges, in hopes of supporting models of development that allow cities, towns and neighborhoods to become financially (and socially, as evidenced by the podcast!) strong and resilient. 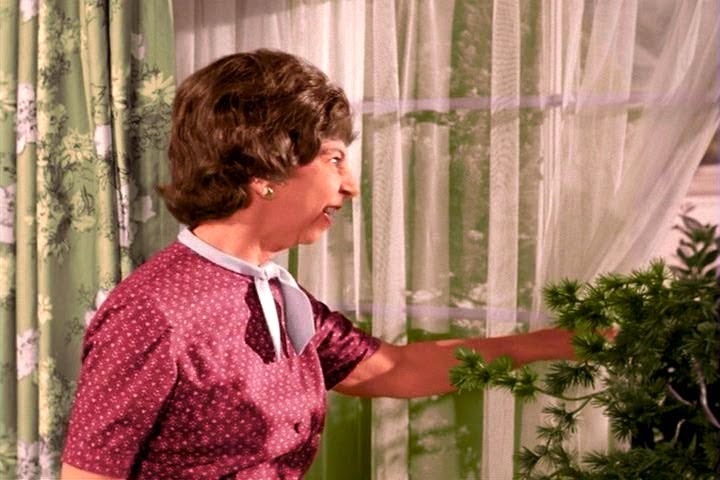 If we want stronger neighborhoods and to "make our lives better in the real world", which is the goal of Nextdoor, we would greatly benefit from getting out from behind our computer screens and phones and playing the role of Gladys Kravitz. Walking to meet our neighbors and investing in our communities would probably serve our neighborhoods much more. Runyon also notes that through his work in community engagement he has noticed that people used to actually love the places where they lived. Now, Runyon claims, there is much less investment in what is happening in our cities by residents. I will admit that I have yet to develop a relationship with a neighbor simply through using Nextdoor. That is my own fault, and I should be challenged to pursue relationships within my neighborhood. What we can walk away with though, is that Nextdoor is only a tool and not a substitute for neighborly relationships. Nextdoor should be a supplement to the actual social fabric within our neighborhoods, and serve as something that might give us a bit more reach in our neighborhood. But make no mistake, I still want to know whose having a garage sale and when, and whether or not that new restaurant down the street is any good. I think this app is an evolving piece of technology. I would like to see the developers move it away from a digital neighborhood watch and toward a tool for planning awesome neighborhood events. Our neighborhood uses it for a variety of purposes - sharing neighborhood history, events, safety warnings, items for give away or sale, services available. I use it and like it. HOA's are the worst, avoind like the plague, if you don't want Nazi's at your doorstep. Our little thing is pretty fun so far.